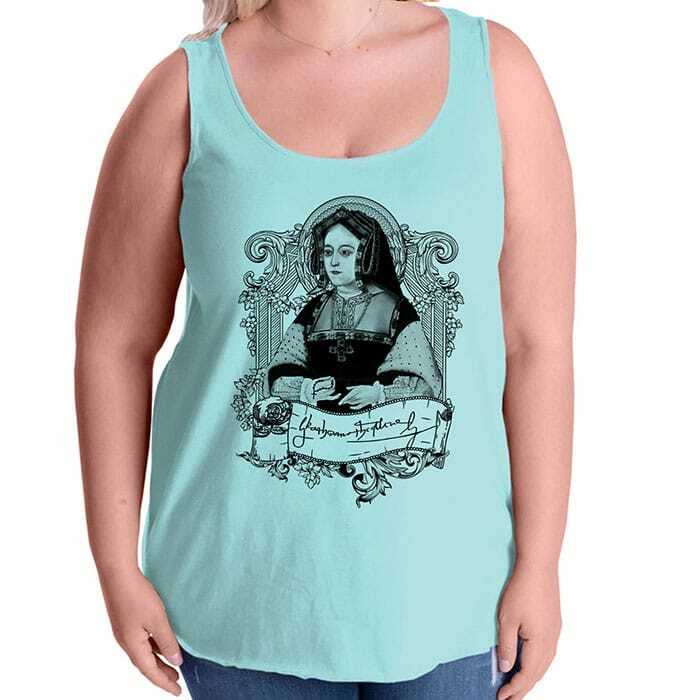 This premium plus size tailored curvy fit jersey Tank features a drawing and design by Tiffini Elektra X of Catherine of Aragon. Wear casual by day with shorts and sandals or dress it up for a night out. There is plenty of length and even though sized curvy it has a nice shape to it. 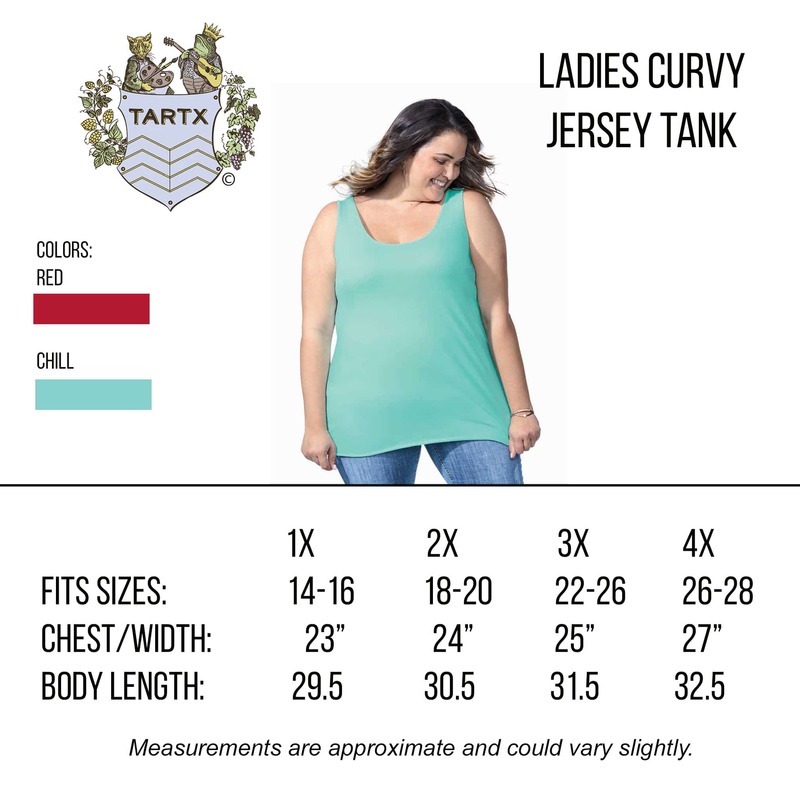 There is a size chart for more accuracy. 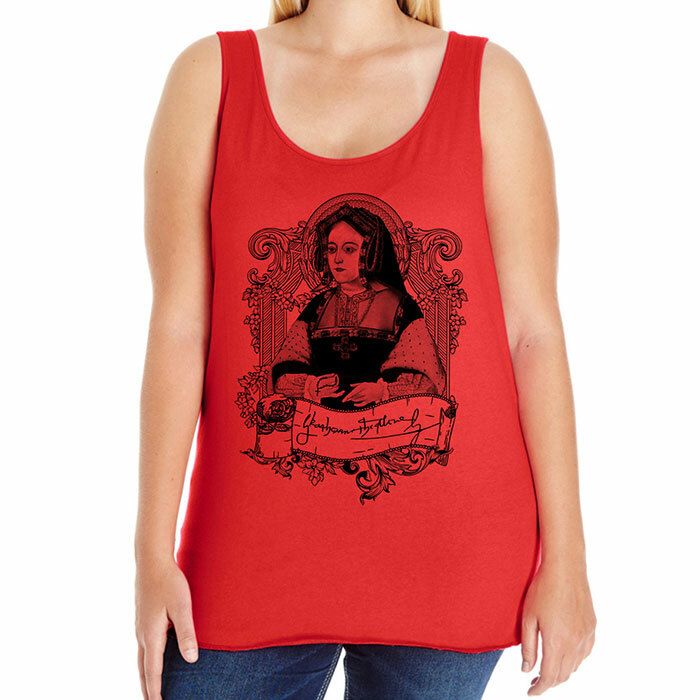 The design is printed on a premium comfort stretch jersey tank. Fabric: 100% combed ring-spun cotton premium jersey. Tank features 1/4" single-needle binding on neck and armholes with a raw serge tail hem bottom. Carefully tailored, amazingly soft with a longer length cut. Separate by colour, machine washes cold, tumble dry low. Iron if necessary - avoid printed design.